Biomass is a solid, liquid or gaseous organic, non-fossil material of biological origin used for the production of heat, electricity or transport fuels. The biomass is composed of three main families of materials: woods or solid biomass, biogas, transport biofuels. It is interesting to note some equivalences applying to the renewable energy sources. Wood is the the most ancient energy source used by men. Although little used today in Europe, wood remains the main energy source for several billions of people in the world (cooking and heating). Wood is an important natural ligneous resource of renewable energy, especially in poor countries where the share of renewable energy from solid biomass comes near to 50%. 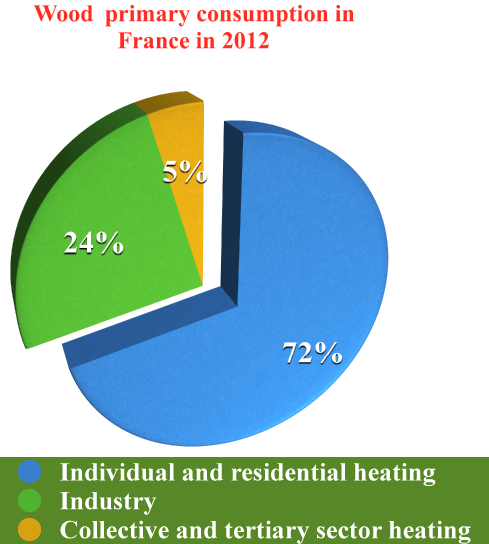 In France in 2012, the consumption of fuel wood represented 46% of the whole primary production of renewable energy (electrical and thermal), around 10Mtoe, among which individual and residential heating represented 71,6%; Industry: 23,8% and collective and tertiary sector heating: 4.6%. Between 2011 and 2012, the general consumption increased by 16% and exceeded its 2010 level, after slipping down in 2011. It should be noted that, in 2012, the total CO2 emissions from the residential/ tertiary sector in metropolitan France were 9%.higher. However, using wood-fuel as the main source for renewable energy, causes deforestation – especially in Africa and consequently aggravates even more the economic fragility of this continent. Even if we use other alternatives, natural organic matters such as straw and crop residues, they still emit greenhouse gases through their combustion. Moreover, the access to innovative and efficient combustion appliances (such as biomass boilers) is very limited in developing countries. 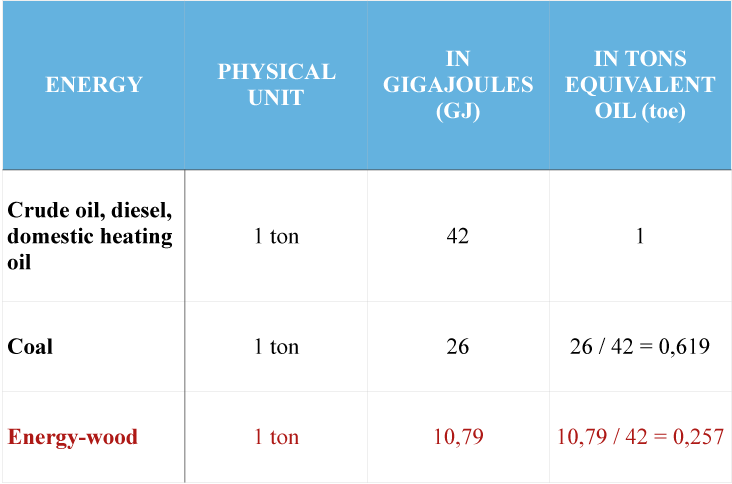 It is interesting to note some energy equivalences applying to the fuelwood energy potential, recommended by the IEA and Eurostat. The increasing performances of heating boilers allow to limit greenhouse gas emissions from wood burning. Unfortunately, these boilers are not easily accessible in developing countries such as African countries. Wood is a renewable energy source but a slow energy source. A cut down treee impacts the environment significantly : we lose a CO2 absorber and we get a green house gas generating material. Wood or coal burning in poorly ventilated spaces may cause pulmonary problems (to its users). Transport of fuelwood is expensive. The International Institute of Coffeeology’s programmes concerning biowaste treatment are the response to the problem of solid biomass processing. L’amélioration des performances des nouvelles chaudières permet de limiter les pollutions générées par les gaz de bois, mais elles sont difficilement accessibles dans les pays en développement, tels que les pays d’Afrique. Le bois est source renouvelable, lente d’énergie. Un arbre coupé, a un impact important sur l’environnement, car c’est un arbre de moins qui absorbe le CO2 et un arbre de plus, dont la combustion génère le gaz à effet de serre. L’utilisation de bois ou de charbon de bois dans des foyers domestiques mal ventilés, peut entraîner des problèmes pulmonaires pour les habitants. Les coûts de transport du bois sont très importants.